Driving along Greece's National Road 1 (North - South) we arrive in Thermopylae where the great historical battle between the Spartan king Leonidas, the ultimate soldier-king and the huge army of Persians took place. We stay for pictures and sightseeing in the beautiful area. You will have the opportunity to taste the delicious Greek cuisine at the famous "Levendis" restaurant. 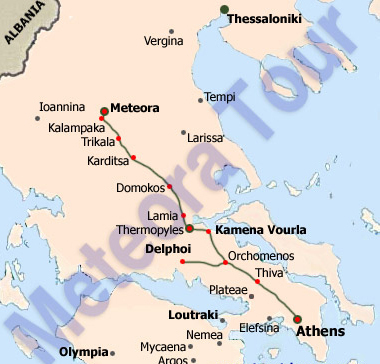 Next stop of our tour is Meteora, particularly well known for its geological formations. 24 giant rocks rise up perpendicularly from the ground in the western part of the plain of Thessalia, in Central Greece. The impressive rocks are composed of a mixture of sandstone and hard gravel which is called a conglomerate. They are representative of the art of Nature: the rocky forest of Greece. They are believed to have been formed 60 million years ago. 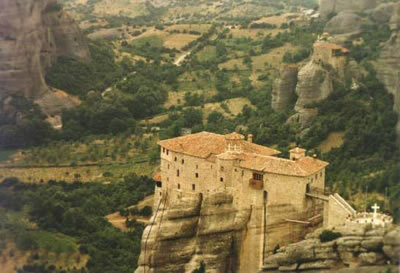 At the pinnacles of the rocks, which reach 550 meters, been monasteries were built by hermits and religious ascetics in the 9th century A.D. In the 12th century they had become a loose-knit community, which respect for the ideas of solitude. After this exciting sight, we take the route to the village of Kastraki and then we continue on to the nice town of Kalambaka. 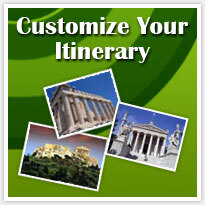 In the evening, we are ready to return to Athens and take you back to your hotel or wherever else you desire. If you wish to have a licenses tour guide for the day, the cost is 200 euros extra!